Change the look of your Renegade BU while gaining easy access with a pair of running boards. Romik's RB2 Series Running Boards add a European design while giving you a large 6" surface to use when getting in & out of your Jeep. Made form quality aircraft grade aluminum for the ultimate in durability these steps fit the lines of your BU smooth giving you a clean look that will get you noticed. Comes in your choice of polished stainless steel or black. Design: Romik brings a modern European style to your Renegade with a wide step area to help you get in and out of your Jeep. 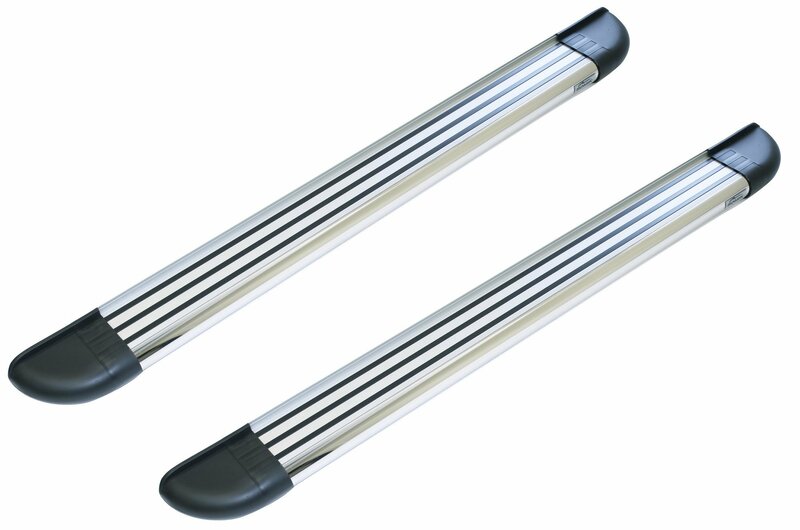 Made from aircraft quality triple wall aluminum extrusion that are twice as thick as most aftermarket running boards out there with a 450lbs. weight capacity. Grip Assurance Technology: Along with a 6" stepping area you can be assured that no matter how wet or muddy your shoes are the surface will give you plenty of traction so you will not slip.